John Eldridge was born on 15 January 1799 at St Nicholas, Kent England, son of George Eldridge, a farmer in Isle of Thanet, and his wife Elizabeth, née Ralph. He married Mary Chandler on 5 May 1821 at Deal, Kent, and they had seven children. He later married Susanna Elgar (d.1885) daughter of James Claringbold and Lucy Dickson, on 7 May 1837, also in Deal, with whom he had many English and Australian-born children. The aviator Charles Kingsford Smith was his great grandson. 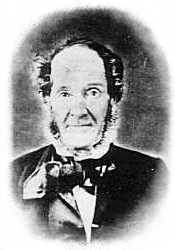 Eldridge died on 28 September 1860 at his Cooks River home. The family were Baptists and were buried at Camperdown Cemetery. John Eldridge, his wife Susanna and surviving children left Gravesend on 20 October 1838 on the Juliana. The ship was wrecked off Greens Point, Table Bay, Cape of Good Hope on 19 January 1839 and they proceeded to NSW on the Morayshire arriving at Sydney on 20 April 1839. Two children died on the way to Australia. John and Susanna had a further five children in New South Wales. By 1842, the family had a house in Macquarie Street. In 1844, Eldridge advertised as a dyer, scourer, calico glazer, and hot presser of 203 Castlereagh Street. By 1851, he had moved his business to York Street, next door to the Wesleyan Chapel. He resided at Cooks River Road at the time of his death. In 1873, his widow, Mrs John Eldridge, was living in Enmore Road. John Eldridge was elected Councillor from 1 November 1852 until 31 December 1853 when the Council was dismissed and replaced by City Commissioners.